In the latest news, three more Refuge occupiers have been arrested. Ammon Bundy, speaking through his lawyer, asked that his team “stand down” and leave the occupation. It appears that most, if not all, of the occupiers have officially left the Malhuer Wildlife Refuge. When eight left yesterday, the authorities arrested three of them including an Oregonian (Duane Leo Ehmer, Irrigon, Oregon; Dylan Wade Anderson, Provo, Utah; and Jason S. Patrick, of Bonaire, Georgia). The KGW-TV news clips provides more details. 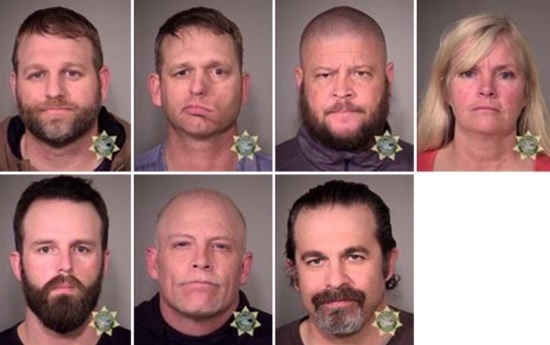 During a roadside encounter with police 50 miles from the Malhuer Wildlife refuge, police have arrested seven members of the standoff (including leader Ammon Bundy) as well as one killed (spokesman Robert Levoy Finicum). Authorities have erected road blocks around the refuge where as many as a few dozen occupiers are believed to be remaining. Several have left already since Tuesday. KATU-2 TV news sat down with Oregon Malhuer County standoff leader Ammon Bundy in an exclusive TV interview. Watch the clip below. Oregon State University researchers have discovered a chemical that blocks Type 1 diabetes in laboratory mice and may work the same way in humans. The chemical, nicknamed BBQ, works at the genetic level to prevent a rogue immune response from destroying insulin-producing cells in diabetic mice, researchers said. If it works the same way in humans, it could yield a breakthrough therapy for Type 1 diabetes and possibly have applications in other autoimmune diseases as well, including colitis, psoriasis and multiple sclerosis. “This compound has a very targeted effect, and it’s safe at therapeutic doses in mice,” said Nancy Kerkvliet, a professor in OSU’s College of Agricultural Sciences and lead researcher on a new study just published in the Journal of Immunology. After bi-partisan passage in both chambers of Congress, President Obama vetoed Senate Joint Resolution 22, disapproval of the EPA’s “waters of the United States” rule. National Cattlemen’s Beef Association President Philip Ellis said this is a clear indication the President does not understand the role America’s cattle producers, land owners and state governments play in preserving our natural resources. Portland: “We are disappointed that BOLI would not only delay their implementation seminars until after the effective date of the new statewide paid sick leave law but also charge Oregon’s employers $25 to attend just to learn how to comply,” stated Jenny Dresler of the Oregon Farm Bureau. The Bureau of Labor and Industries (BOLI) released final paid sick leave rules on December 9, 2015. The rules, necessary for employers across Oregon to implement the new Legislatively mandated 5-days of paid sick leave, leave only 22 days for small and large businesses alike to read, review and implement the 15-pages of new administrative rules. On January 4, 2016 Oregon ranchers Dwight and Steve Hammond have left their homes to report to a federal prison. Both ranchers are faithful, long term Oregon Cattlemen’s Association members. Many have asked where the association stands on the Hammond’s predicament. The U.S. House of Representatives voted 253-166 in support of S.J. Res. 22, a resolution of disapproval of the Waters of the United States (WOTUS) regulation. Under the Congressional Review Act, the House and Senate can pass a resolution of disapproval to stop regulations they feel overstepped the agency’s authority. The resolution must be signed into law to become effective, and the administration has indicated the president will veto the legislation. The vote margin is not sufficient to override a veto. The regulation is still under review by the courts and NAWG will continue to work on a legislative resolution. Oregon Congressman Greg Walden’s impassioned video has been seen over 125,000 times. Congressman Walden talks directly about the Oregon standoff, failures of federal land management, judicial failings and also the story behind the Hammond Family. Watch the video below.